The market for botanically enriched, “health” drinks have exploded over the past few decades or so. There are hundreds of products on the market that promise wellness and health, but nothing could prepare the consumer for the coming wave of micro-dosed; CBD and THC liquids made specifically for wellness. It’s true! All that is required is a healthy thirst and the desire for something different. Case in point with the Monk line of drinking botanicals. This ultra-luxury line of tiny 4 oz bottles are scientifically calibrated to micro-dose just the right amount of CBD/THC to the careful imbiber. Careful because the dosage of CBD/THC is in the micro amounts- nearly undetected after enjoying the scant few sips of this ‘magical’ elixir. What each bottle represents are flavors and health-giving qualities similar to the days of the early apothecary, when fragile herbs and spices made their way into preparations that the pharmacist concocted to order. Not unlike the early preparations that made their way to the cocktail bar with drinks meant to heal the gut, like the famous Sazerac, or perhaps you’d be interested in knowing why Angostura is so helpful when you have a stomach ache, or are seasick? It all comes around again with the deep desire to write the first book about creative mixology that uses cannabis. There is a large distinction between non-Cannabis augmented health drinks and quality products like Monk’s Drinking Botanicals. What we have here is a modern framework, one that is more flavor-driven as opposed to effect-driven, with varieties like the brightly aromatic and refreshing grapefruit/cayenne. This delicately spicy, yet not overly sweet concoction is precise and carefully combined to offer amusement, candor and excitement into every careful sip. Careful because the cayenne element is not overwhelming, but it is right there in front of the brightly delineated richness of the pink grapefruit juice. 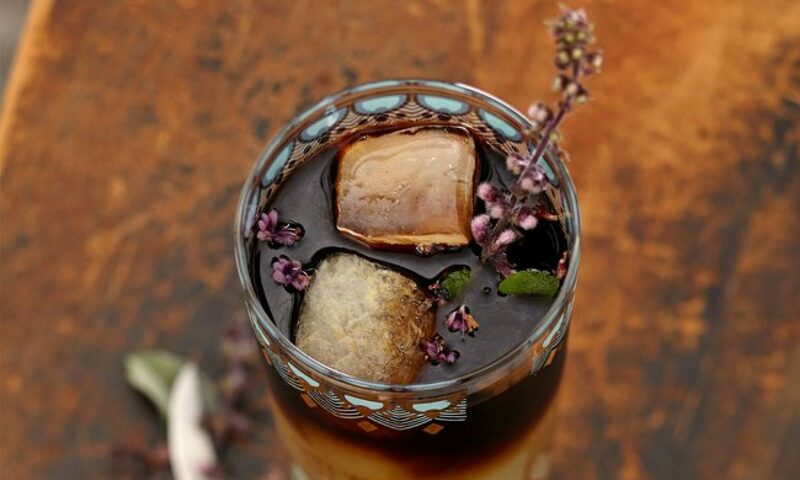 The combination resembles a fine craft cocktail- especially with the balance and the depth of the ingredients. They almost taste as if the grapefruit was freshly squeezed and infused with the cayenne peppers.